Clear braces in Orchard Park, NY, Williamsville, NY, and Elma, NY, are a popular choice for teens and adults who want to make a less noticeable statement with their commitment to a healthier smile. Our patients love the natural look of these smooth, sculpted, and completely clear ceramic braces – they won’t stain or discolor and can be blended in with your unique tooth shade. When you choose your orthodontic treatment with clear braces, no one will even know you are wearing them! More Than A Smile Orthodontics uses clear braces in Orchard Park, NY, Williamsville, NY, and Elma, NY solely manufactured by American Orthodontics, right here in the U.S. These well-made, clear braces offer our patients the look they want, with all of the functionality of traditional metal braces. Their attractive translucent appearance help provide the self-confidence that comes from wearing braces that look as good as they perform. Schedule Your Free Smile Assessment for Clear Braces in Orchard Park, NY, Williamsville, NY & Elma, NY, Today! 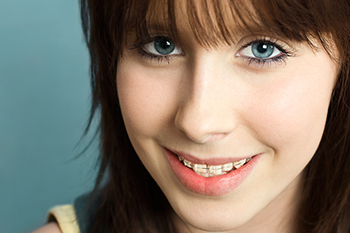 Do you want clear braces to be part of your orthodontic treatment? To find out more, request your complimentary More Than A Smile Orthodontic Assessment. Your completely free, no-obligation assessment includes a complete exam, x-rays when needed, and a comprehensive treatment consultation with our expert orthodontist. Call 716.633.4747 or click here for an appointment today! Come experience More Than a Smile Orthodontics! You will quickly discover that we offer state-of-the-art and affordable clear braces in Orchard Park, NY, Williamsville, NY, Elma, NY, Amherst, NY, Clarence, NY, Tonawanda, NY, Hamburg, NY, East Aurora, NY, Lancaster, NY, Buffalo, NY and West Seneca, NY – and we do it with a smile. We’re ready to help you achieve a healthy smile in less time!